The thought of having to file for bankruptcy is horrifying for most people. Most of us have been conditioned to believe that we should pay all of our debts, regardless of the hardship it causes in the household, and to believe that people that file for bankruptcy are behaving less than honorably. When facing the choice of filing for bankruptcy, many people feel as if they are all alone in their situation and are reluctant to seek help because of their embarrassment at their financial predicament. These people need to realize that filing for bankruptcy is more common than they think and that there is nothing for them to be ashamed of. 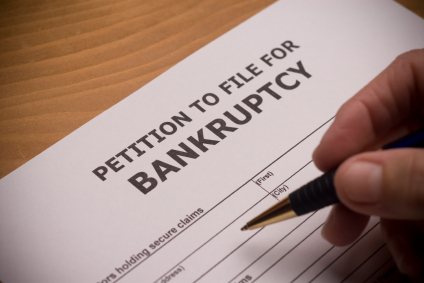 Here are some of the most common reasons that people file for bankruptcy. If a person loses their job and has difficulty finding another that pays the same amount or more, their bills and expenses can quickly pile up to an unmanageable amount. If they try to use their credit cards to cover the gap, they can also find themselves facing mountains of high interest credit card debt. This debt spiral will continue until the person finds a job that will allow them to begin paying off this debt or they file for bankruptcy to stop the financial hemorrhaging and the badgering of unpaid creditors. Unexpected medical expenses is another reason why many people have to file for bankruptcy. A recent study from Harvard University showed that approximately 62 percent of personal bankruptcies in the United States are due to medical expenses, with 72 percent of those who filed having health insurance at the time of their illness or injury. A single hospital stay can result in thousands of dollars in charges not covered by health insurance, leaving those unprepared for the expense with little choice other than to file for bankruptcy. The loss of a spouse due to death or divorce is already a traumatic experience, but the experience can get even more distressing if the loss of income and the amount of debt carried by the couple is now on the shoulders of one party. In these cases, the only way to protect the assets that the person has accumulated over their lifetime is to file for bankruptcy for protection from creditors. While choosing to file for bankruptcy will not wipe the slate clean, it will give the person a better foundation to rebuild their finances in the future.